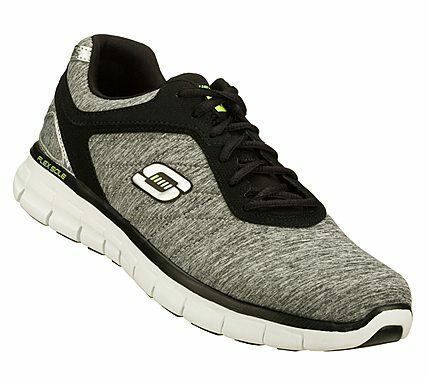 Get set to get fit wearing the SKECHERS Synergy - Instant Reaction shoe. Soft woven heathered jersey knit fabric and synthetic upper in a lace up athletic training sneaker with stitching and overlay accents. Memory Foam insole, flexible lightweight outsole.